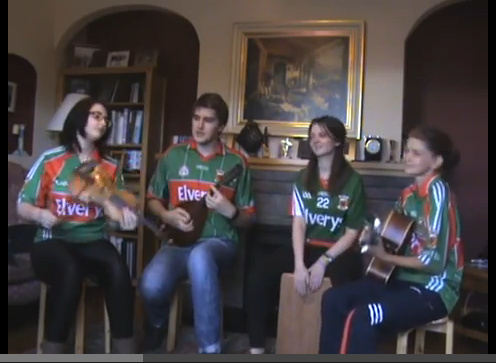 A talented young group from Claremorris have uploaded a video of their contribution to the Sam Maguire effort. Watch the video and learn the words below. Written By Dearbhaile and Bríd Roe. Performed by Róisín Mc Guinness, Gearóid Clesham, Eleanor Roe and Dearbhaile Roe. That we had what it took to beat them all. That the Green and Red had their say.